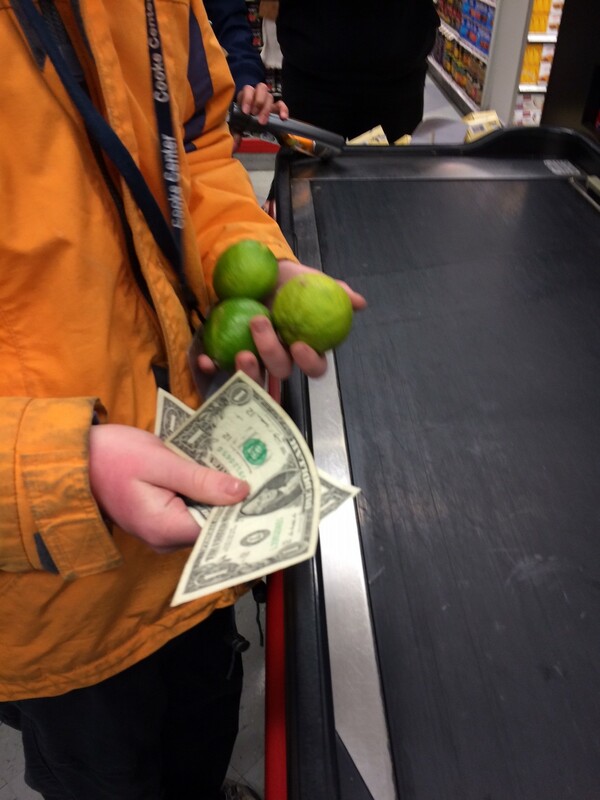 The goal of our shopping curriculum is for students to be able to independently make a purchase at a local store using cash. The reason we focus on cash in math class is that the mathematical thinking is more visible when using cash as opposed to a debit or credit card. 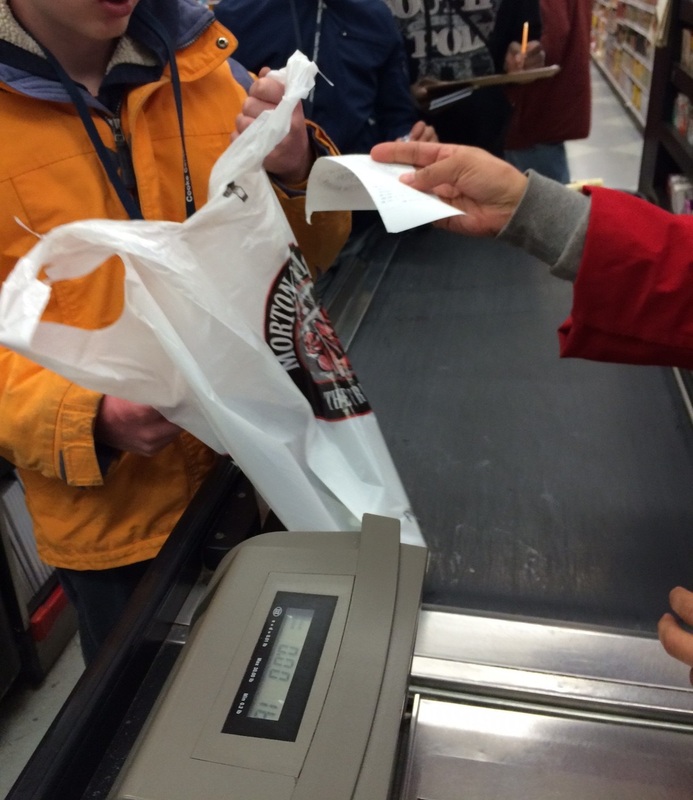 We begin with the steps to a successful shopping trip (pdf). The reason we breakdown the steps is so our students can more easily access the entire trip in manageable chunks (i.e. steps). First we ask the students to put the steps in the order that makes the most sense to them. This is an opportunity for us to easily assess what they already know about shopping. We review the steps, discuss why the steps are in the order that they are and students who had the steps in the incorrect order are able to change them before we glue them down. Once we, as a class, have an accepted, logical order for the shopping steps we move into the practice phase. The practice phase takes place in the classroom. This is where we role play and prepare for the upcoming shopping trip. 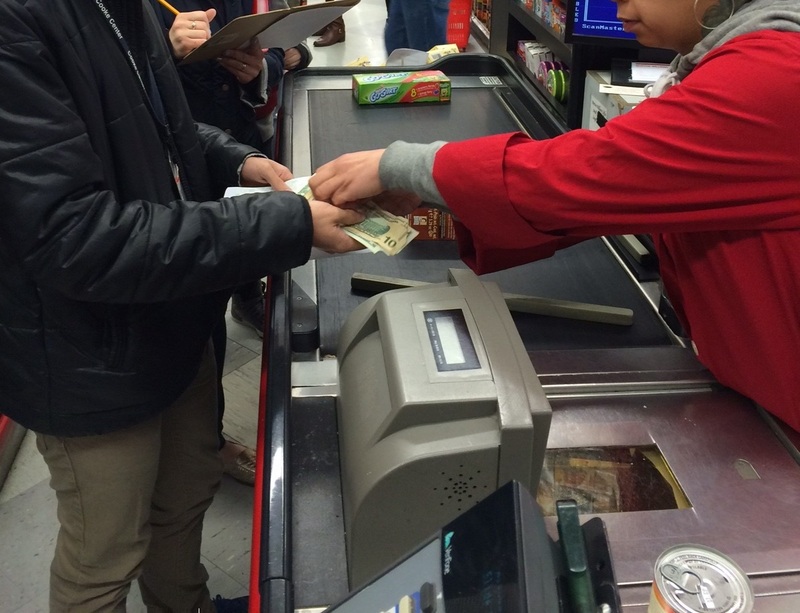 Students are able to safely encounter potential obstacles to a successful purchase during this simulation. During the role play teachers are able to pose mathematical problems in real world contexts more easily. One example of this is when I announce the budget for the shopping simulation I can give the students more or less money and see if they notice the discrepancy and then solve the problem by asking for the missing amount or giving back the excess. We don’t need to study key word strategies when we are posing and solving real world mathematical problems in class. 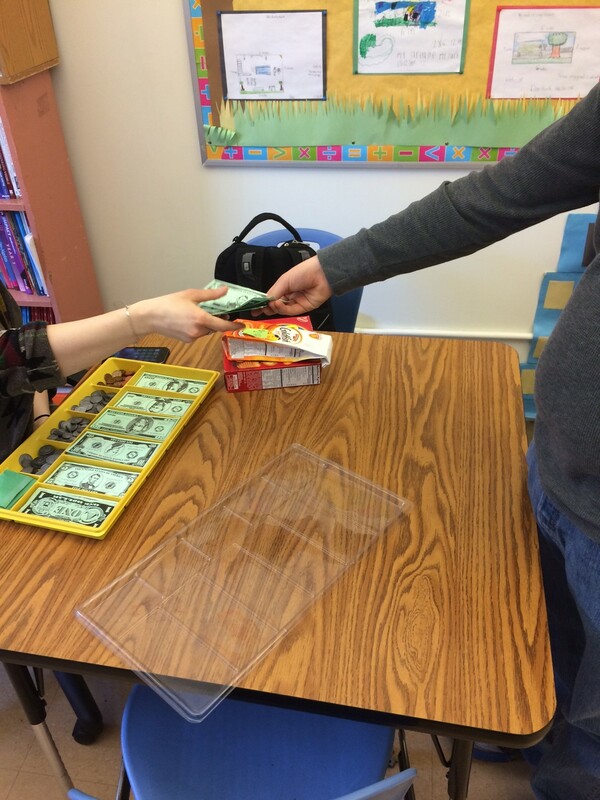 Once students have the correct budget, they go into the class and engage in the simulation. 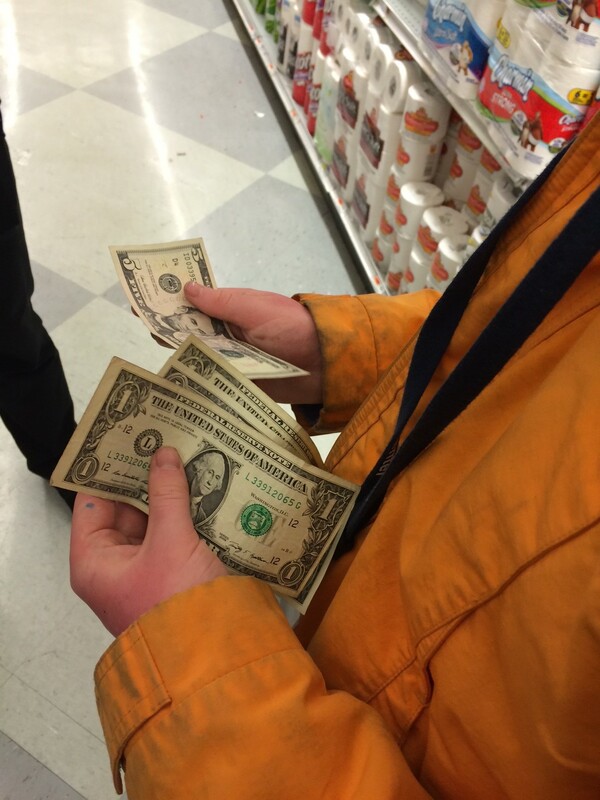 They pick items, round up to the next dollar, choose the appropriate bills for payments, and pay. One key strategy we use is called “rounding up to the next dollar.” We do this for two reasons. The first is that if you round up to the next dollar for every price, you’ll always have enough money once you get to the register. The second, and most important reason, is that it limits the likelihood that a student will get ripped off. If a student rounds $7.19 up to $8.00 and gives only $8.00 at the cash register, then if they are missing a penny or dime in the change it is less of a problem than if they gave a $20.00 bill and are missing a $10.00 bill in their change. We also don’t ask the students to count their change, because we see it as another opportunity for the students to use the estimation skills developed earlier in the unit. Finally we move into the real world shopping phase of the curriculum. First, students have homework to assess the needs of their home based on the location of our upcoming shopping trip. If we are going to the grocery store, they look for what food they need at home. 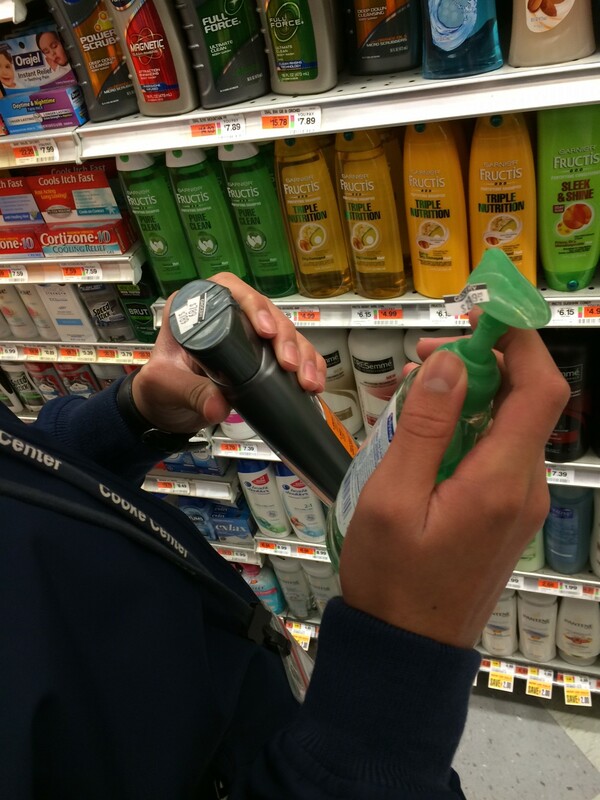 If we are going to a pharmacy, they look for what hygiene products they need at home. Depending on what the local store sells, students are asked to identify needs and buy products for consumption at home. 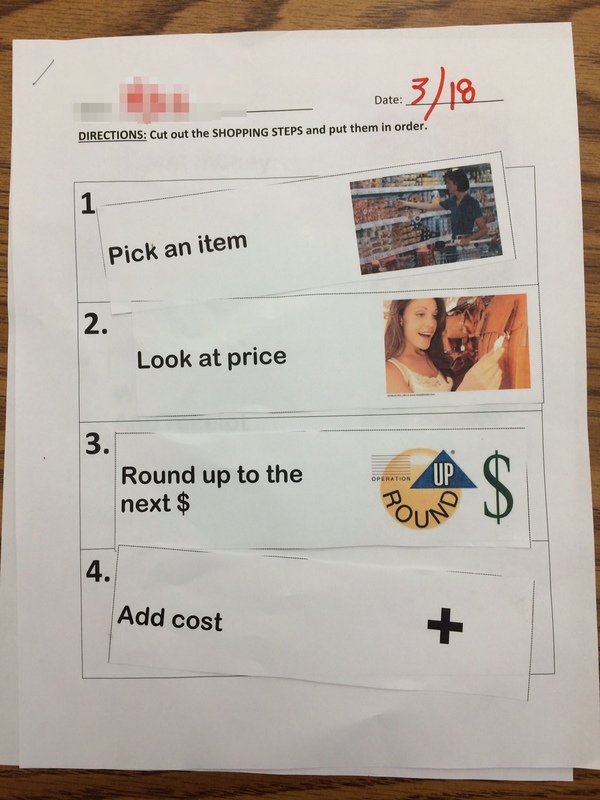 When we go on our trip students bring their shopping steps checklist and the shopping list from their homework. Teachers use a task analysis (pdf) to assess students during our trips. The rubric is on a scale from 1-5. It consists of the following categories: hand-over-hand, maximum prompting, moderate prompting, minimal prompting, independent. 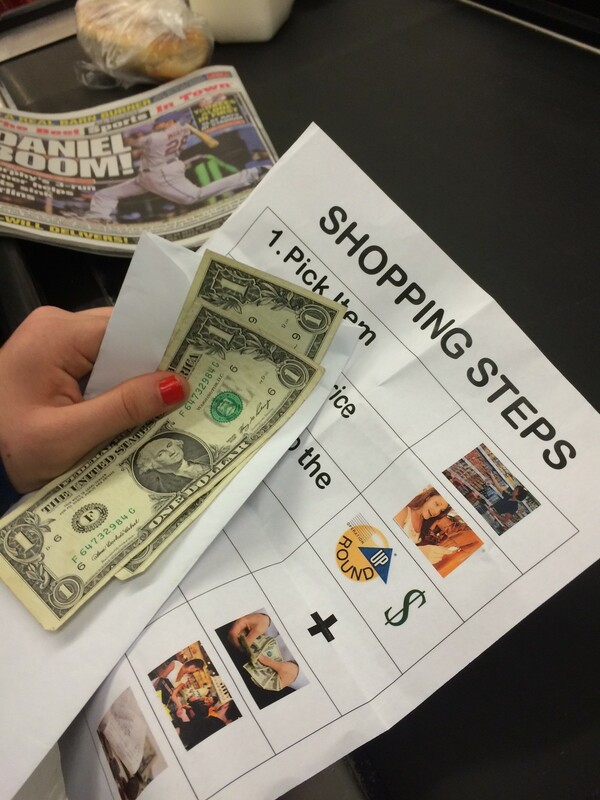 Each step of a successful shopping trip is graded on this scale by a teacher observing the student work. We then repeat this weekly process over the course of several weeks during the unit. Generally, we begin with direct modeling of each step (i.e. hand-over-hand) and through the theory of gradual release of responsibility, we expect that students will eventually reach their level of independence during shopping portion of the financial literacy unit. Here are some pictures of us at the first local store this spring, the grocery store. What bills do I need? 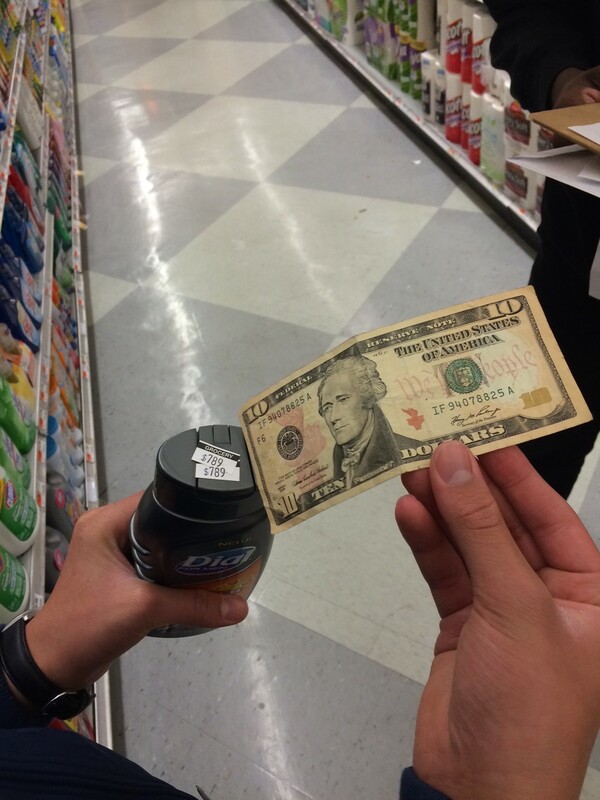 Did I get the correct change? Don’t forget my bag and receipt! 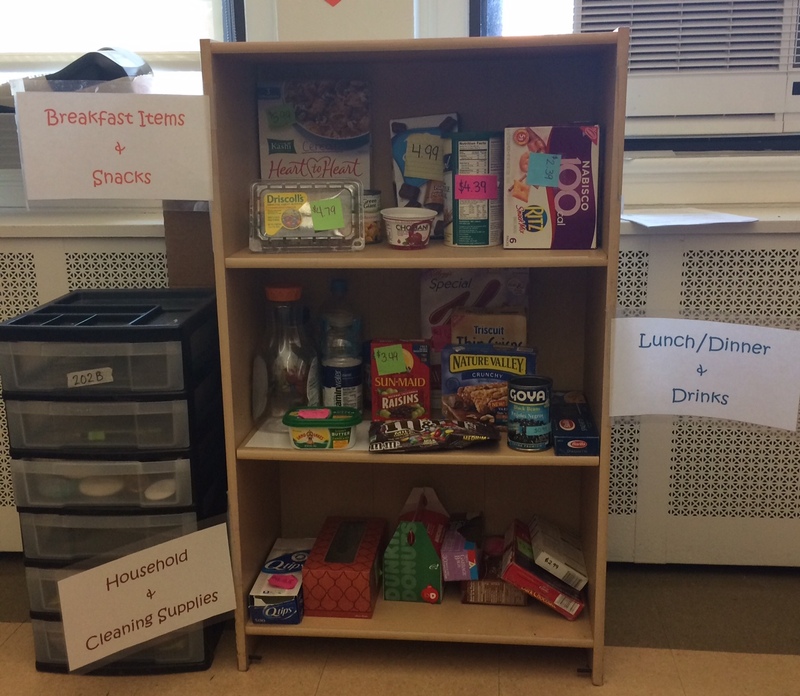 We’d love to know what you think of the shopping portion of our financial literacy unit. Next time, we’ll be discussing banking. This entry was posted in Uncategorized and tagged education, financial literacy, math, math education, MTBoS, shopping, special education by Andrew. Bookmark the permalink. Thanks for the feedback Jaime! Also come back to us!